Moss & Barnett is pleased to announce that James J. Vedder, a member of our family law team, has been named to the Courage Kenny Foundation Board of Directors. Jim’s term begins June 1, 2018. Moss & Barnett attorney and chair of our family law team, Susan C. Rhode, also serves on the Courage Kenny Foundation Board as its Vice Chair and Secretary. Jim assists clients with the resolution and settlement of the division of marital and non-marital assets, division of closely held businesses, spousal maintenance, child support, and custody issues. He has substantial experience in settling and trying complex marital dissolution cases and advises clients in all areas of family law. Jim is a Fellow in the American Academy of Matrimonial Lawyers and is a Family Law Executive Committee Member of the Hennepin County Bar Association. 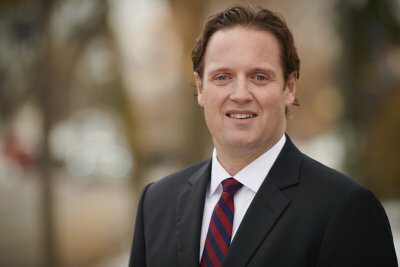 In addition, Jim serves as an adjunct professor at a local Minnesota law school in their Family Law Lab and also serves on Moss & Barnett's board of directors. Courage Kenny Foundation supports the work of Courage Kenny Rehabilitation Institute, serving people with disabilities and others in need of rehabilitation care. Courage Kenny Rehabilitation Institute, part of Allina Health, provides a continuum of inpatient and outpatient rehabilitation and community services. The Institute’s goal is to maximize quality of life for people of all ages and all abilities. “Moss & Barnett has been a long-standing supporter of the Courage Kenny Foundation and our entire law firm is honored by Jim’s continuing leadership of those efforts,” said Moss & Barnett President and CEO, Tom Shroyer.